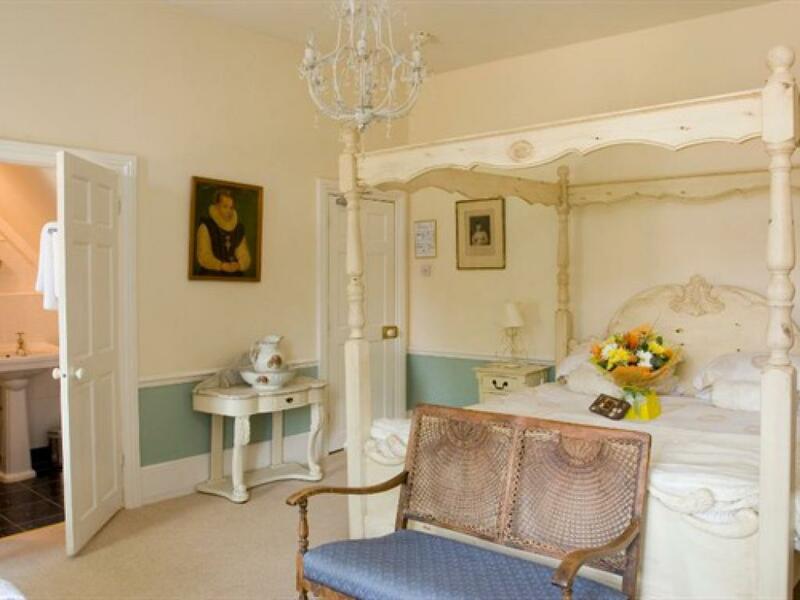 The Lady’s Room is a perfect choice for those seeking a restful retreat. 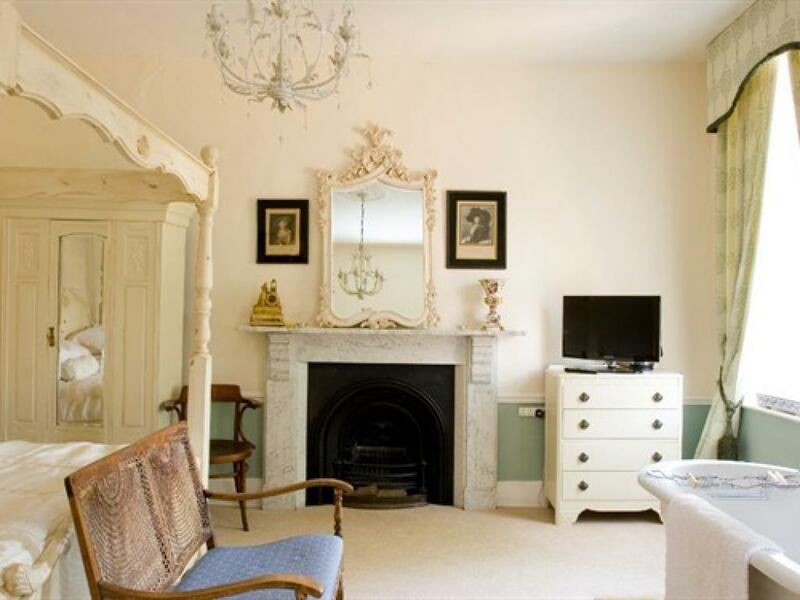 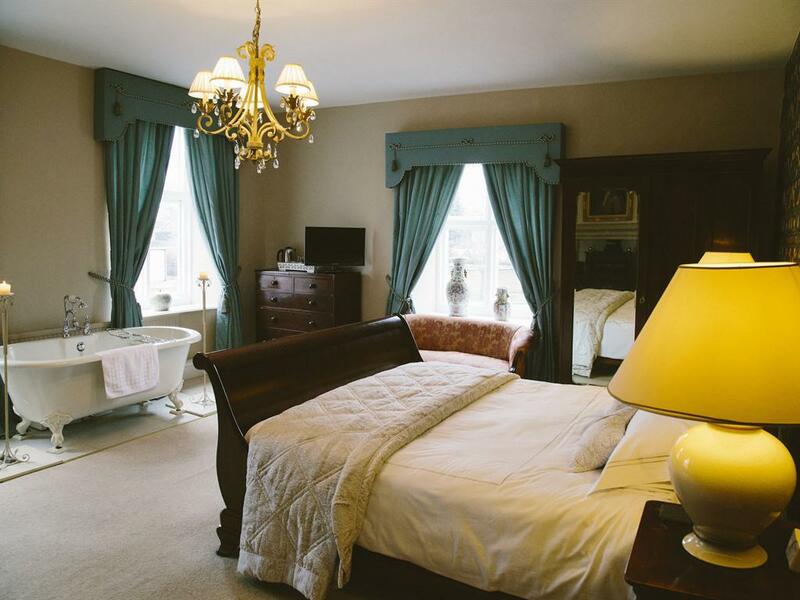 This beautifully proportioned room offers complete luxury with its calming pale green colour scheme, large four-poster bed, Georgian marble fireplace and high quality furnishings. 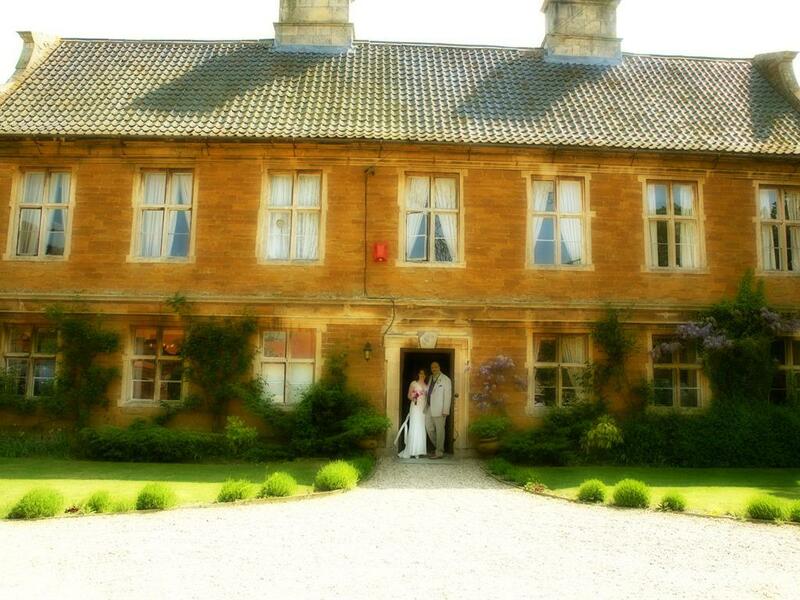 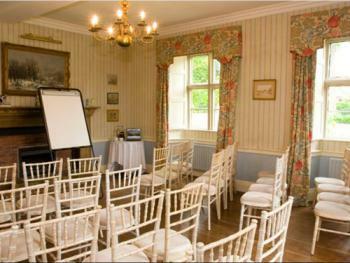 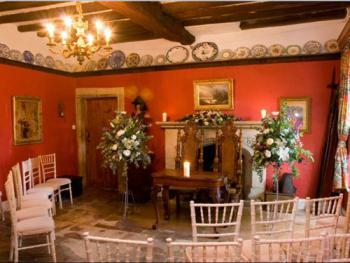 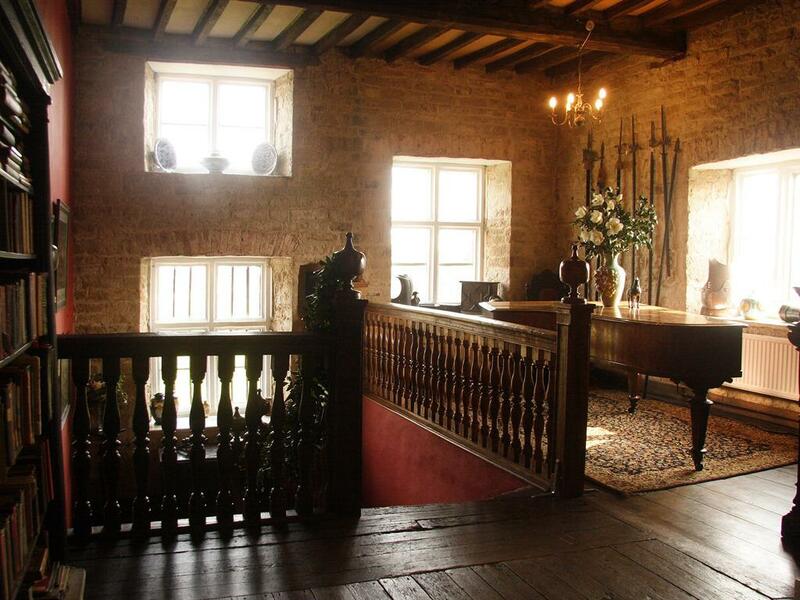 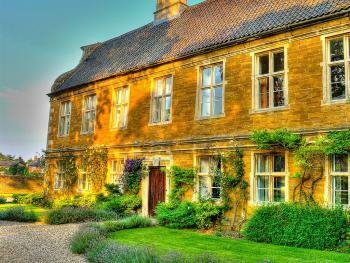 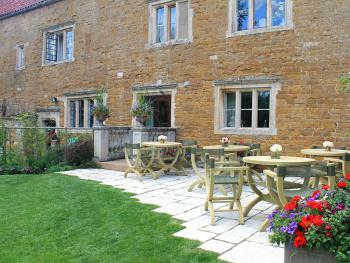 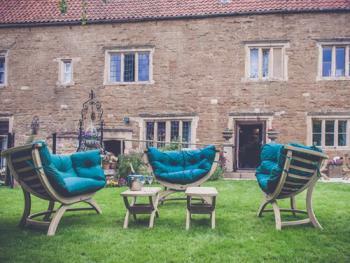 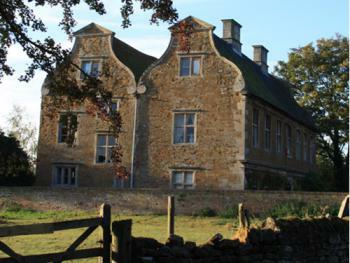 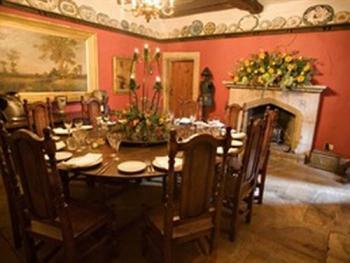 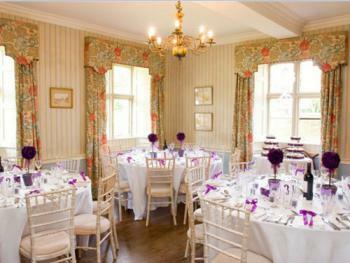 It is set above The Hall and overlooks a magnificent ash tree at the front of the house. 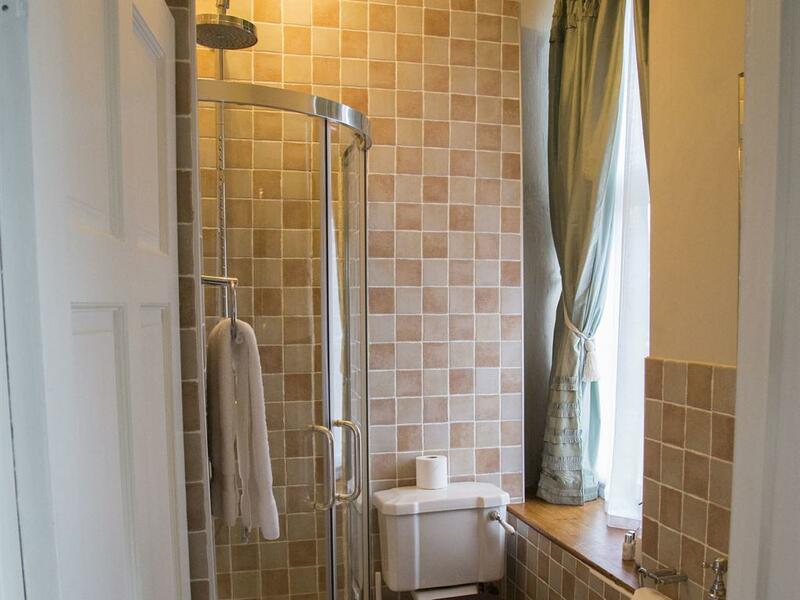 This room offers a freestanding roll-top bath, en suite shower and toilet, television, radio, wireless internet connection and coffee & tea making facilities. 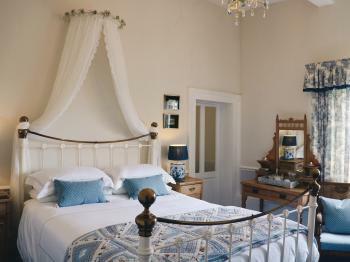 Situated at the back of the house with an outlook over the rear garden, the Garden Room offers a little tranquillity and a lot of luxury.This room has a distinctly cottage-like feel with its parchment and blue colour scheme, complemented by a brass and iron bedstead and delicate pine furniture. 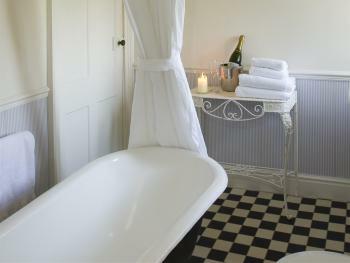 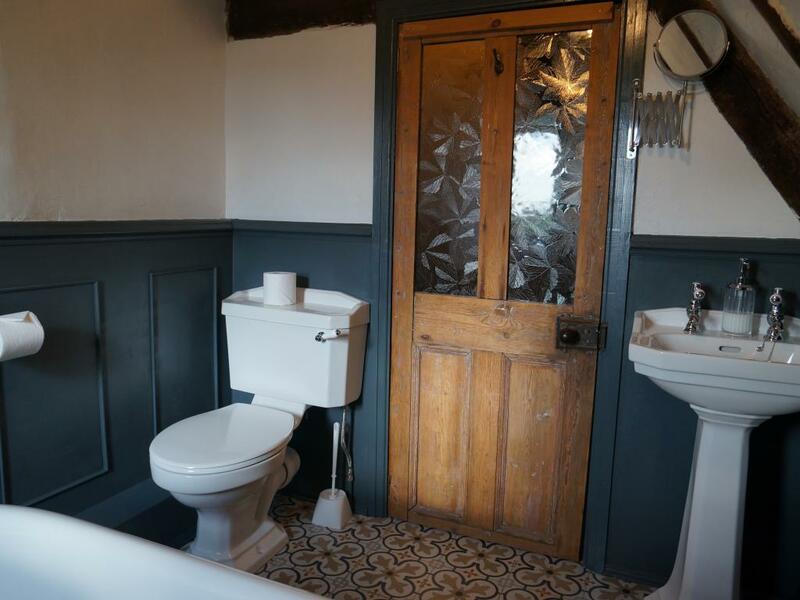 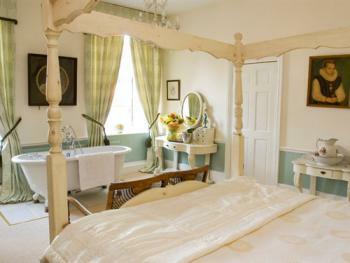 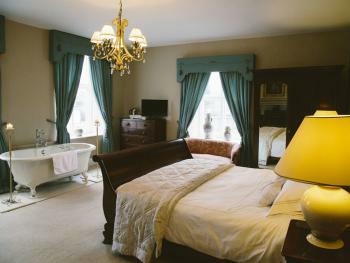 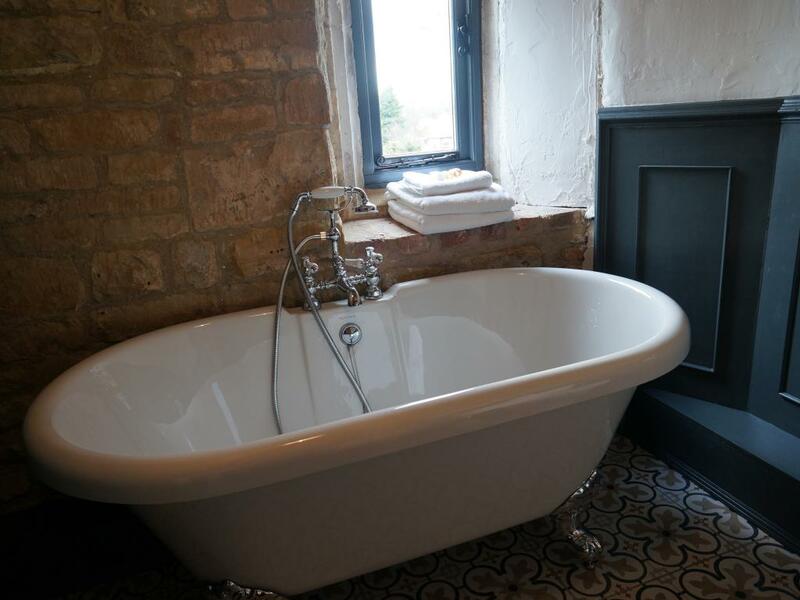 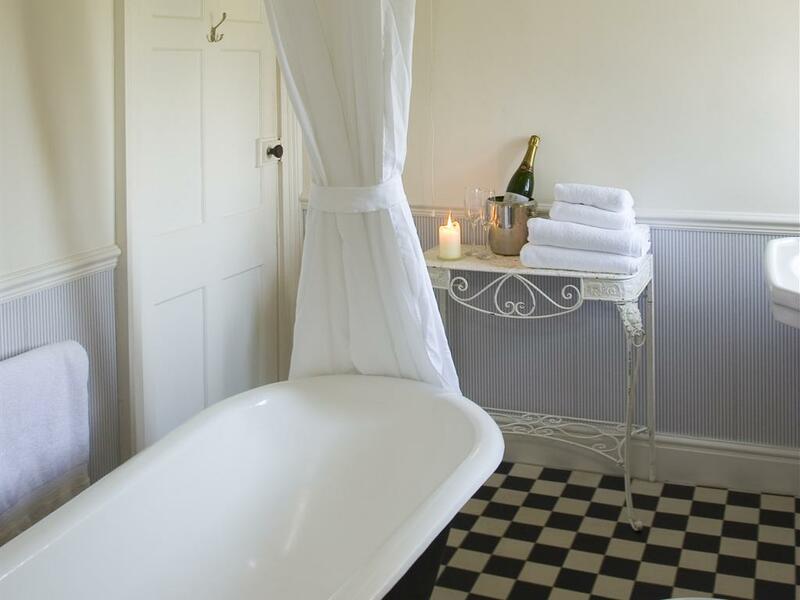 The spacious en-suite bathroom has an antique six-foot cast iron bath and shower in which to unwind. 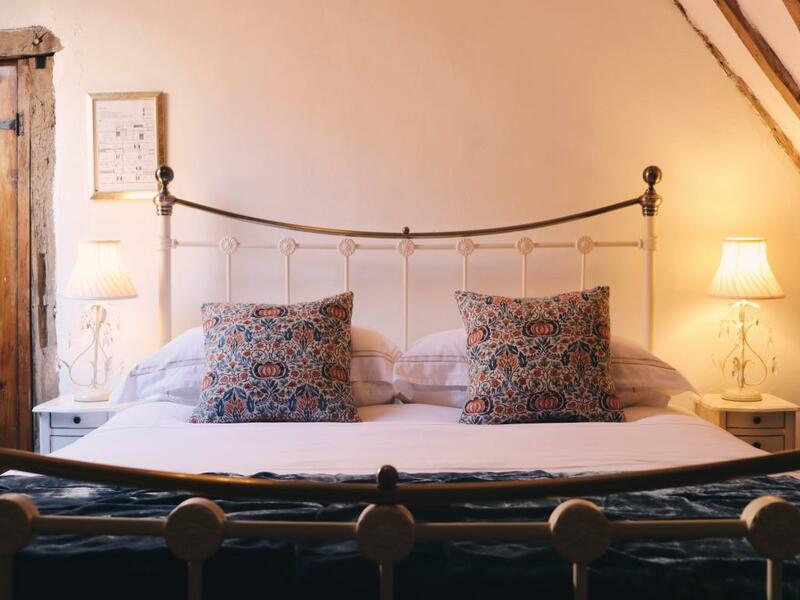 In common with the other rooms, a television, radio, wireless internet connection and coffee & tea making facilities are provided. 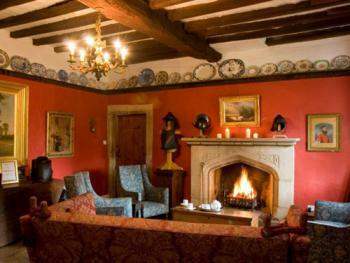 The Butlers room sits proudly in the eastern Dutch gable end of the Manor’s 17th Century roof. 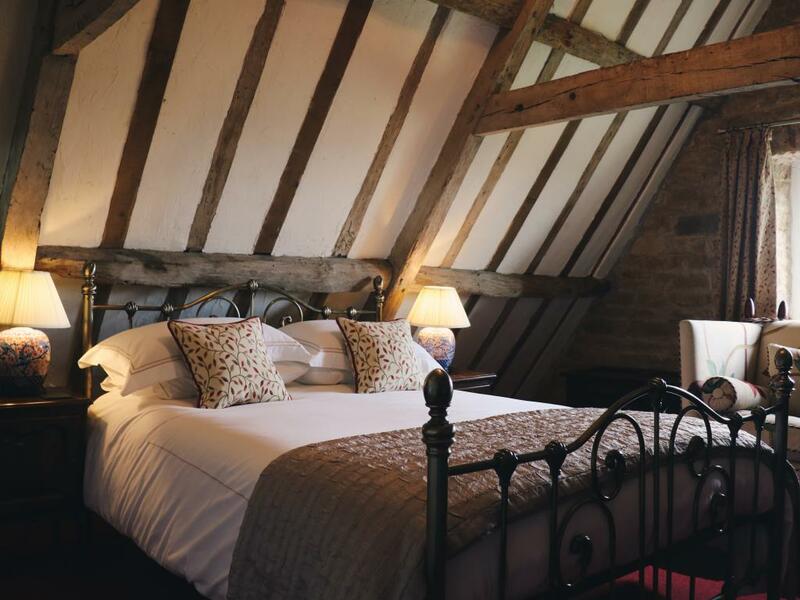 A particular feature of this characterful room is its original pegged Green oak beams, littered with original assembly marks and dating back 400 years. 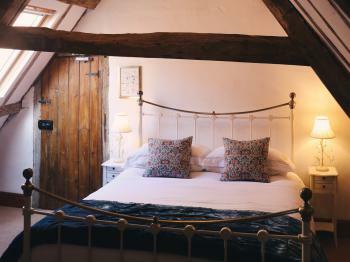 The room boasts splendid views from the highest point of the house, stretching out over the meadow, into the centre of the village. 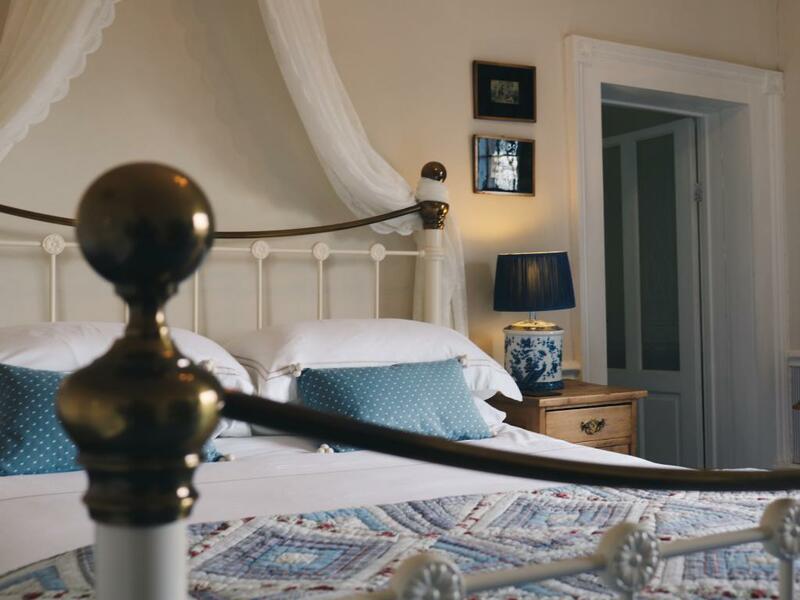 Once the servants’ quarters, The Butlers room is now a beautifully appointed bedroom with a king size bed, en suite with power shower, television, wireless Internet connection and tea and coffee making facilities. 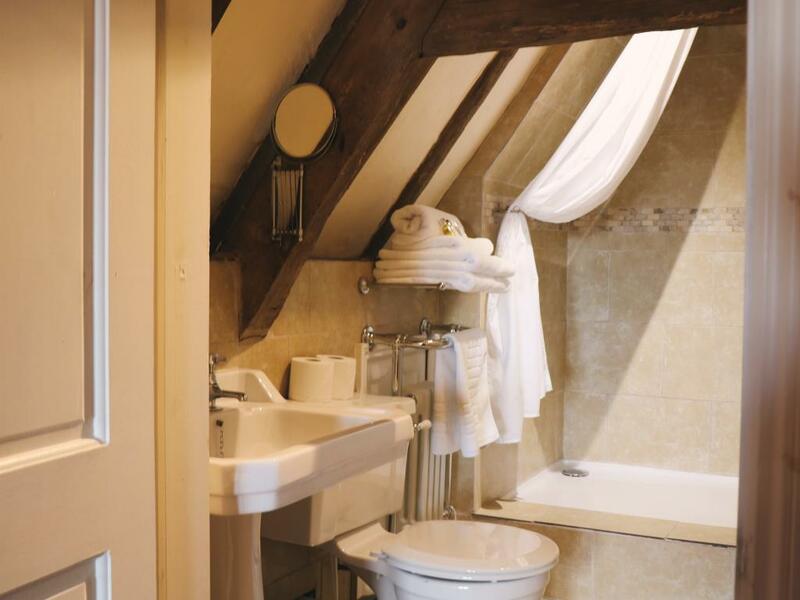 Please note that part of Village View’s charm is its steep and winding staircase, making this particular room unsuitable for guests with mobility issues. 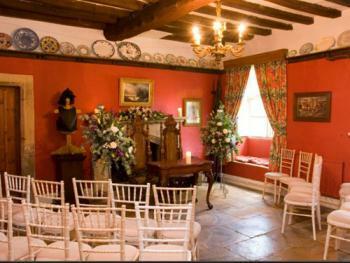 The Maids room nestles in the eastern Dutch gable end of the Manor’s 17th Century roof. 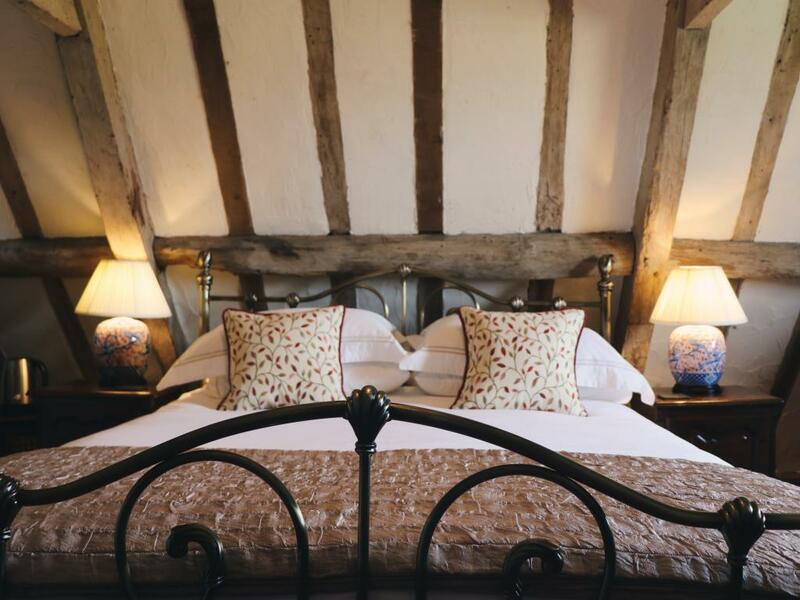 A most notable charm of this room is its original pegged Green oak beams, peppered with original assembly marks and dating back 400 years. 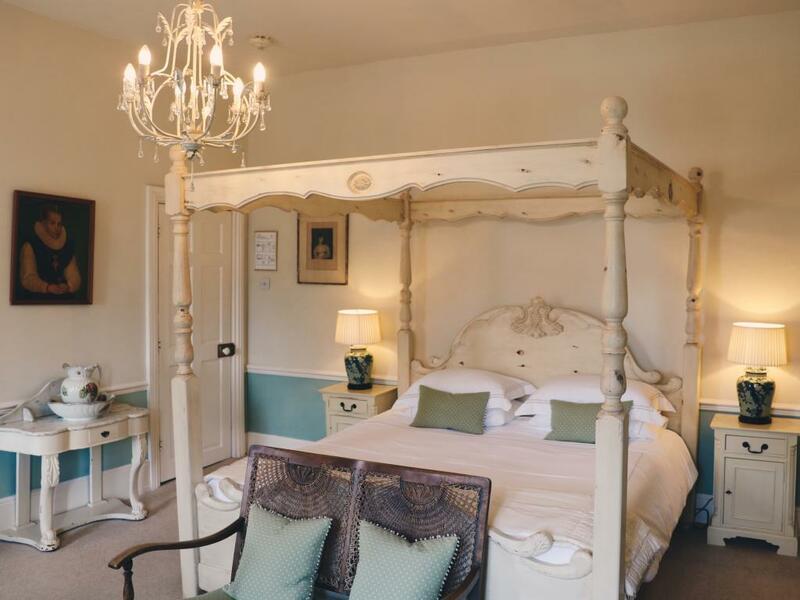 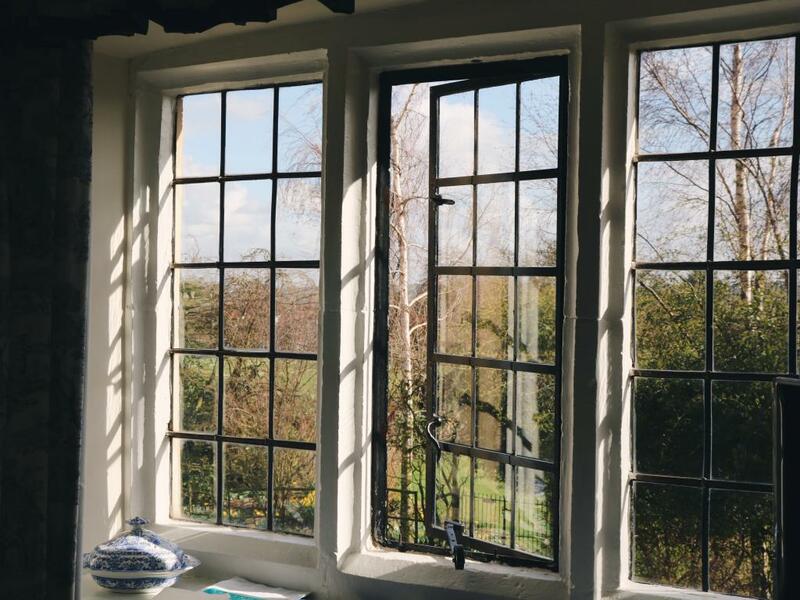 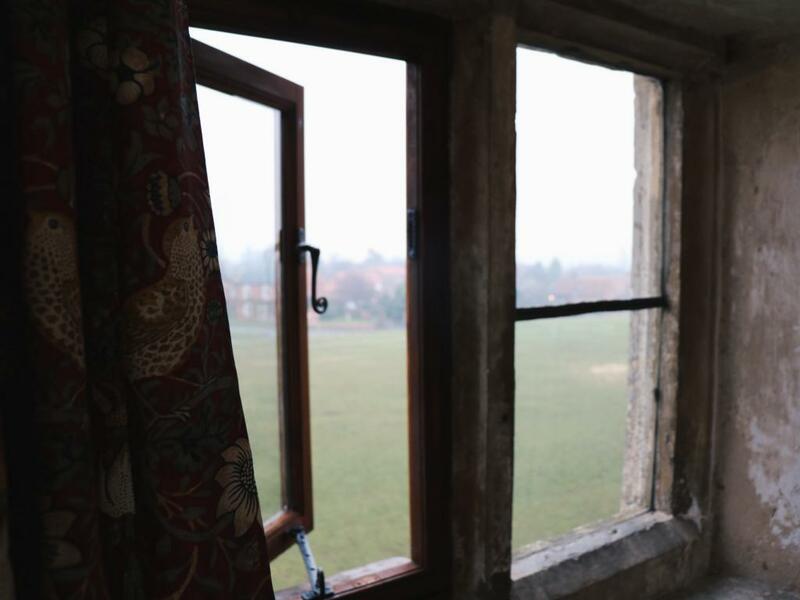 The room’s position at the highest point of the house affords beautiful views over the fields towards Belvoir Castle and the surrounding vales. 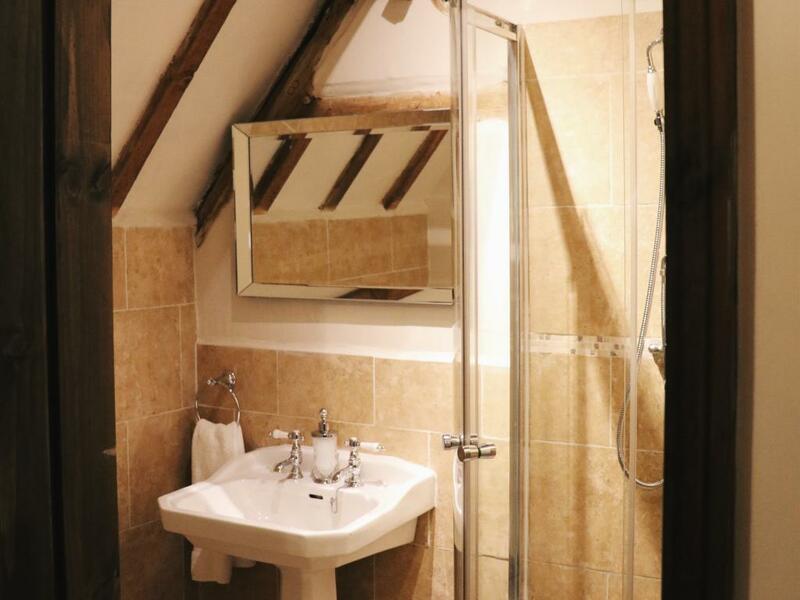 Another of the Maids room particular quirks is the brick chimney breast dating back to 1450, which sits proudly in the centre of the room and creates a quirky corridor to the en suite facilities. Originally the servants’ quarters, The Maids room is now a superbly appointed bedroom with a double bed, en suite bathroom with a roll top bath, television, wireless Internet connection and tea and coffee making facilities. 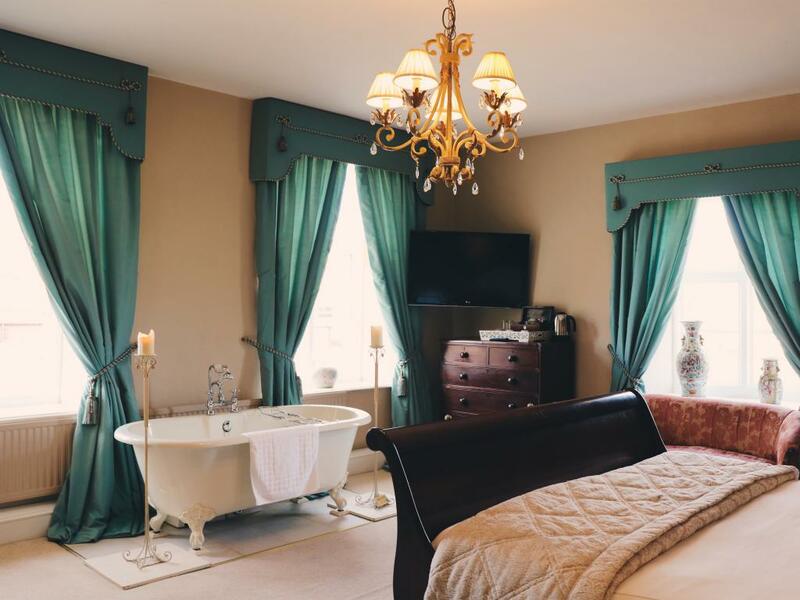 Please note that part of The Maids room charm is its steep and winding staircase, making this particular room unsuitable for guests with mobility issues. 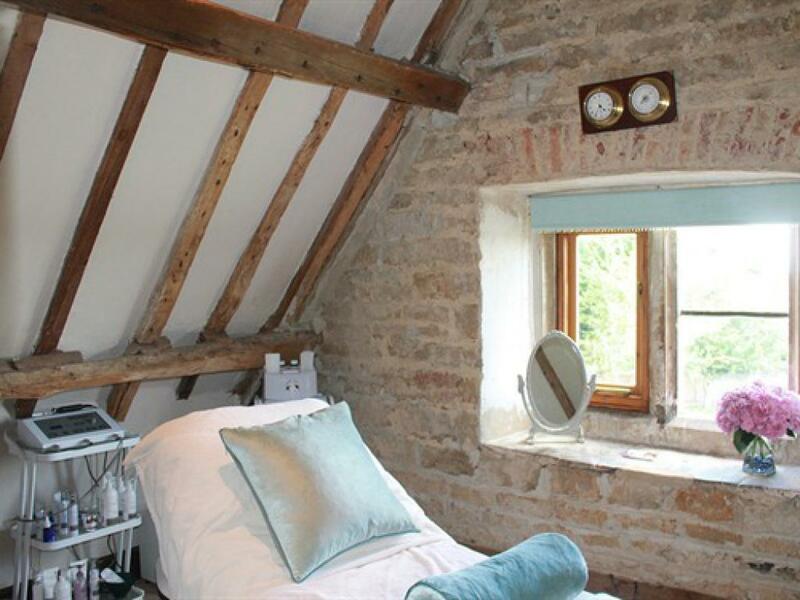 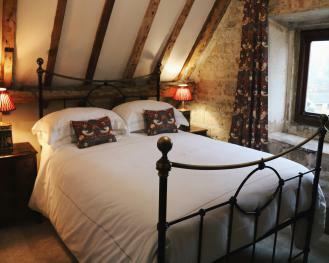 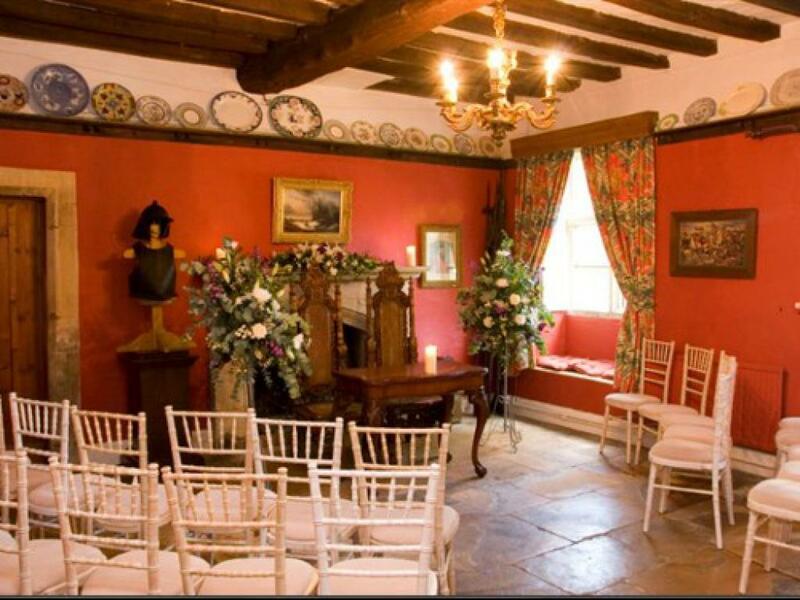 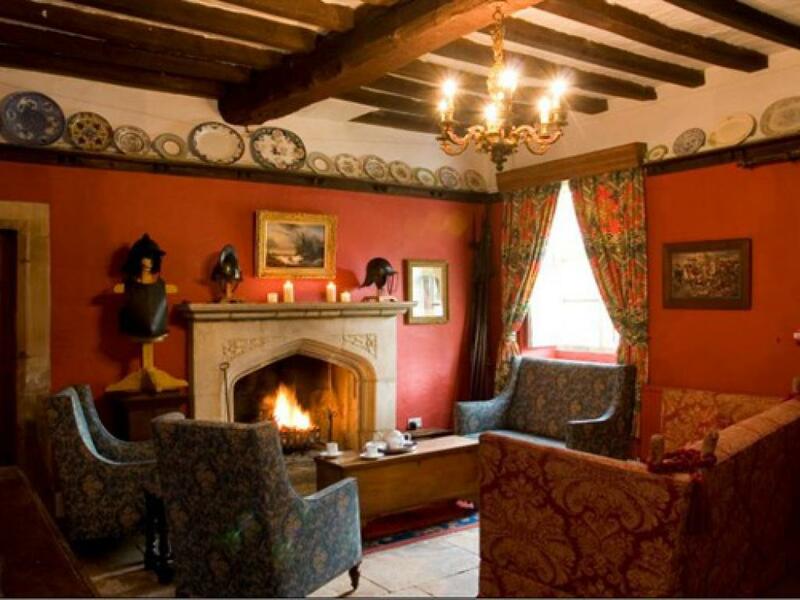 The Footman's room nestles in the north eastern Dutch gable end of the Manor’s 17th Century roof. 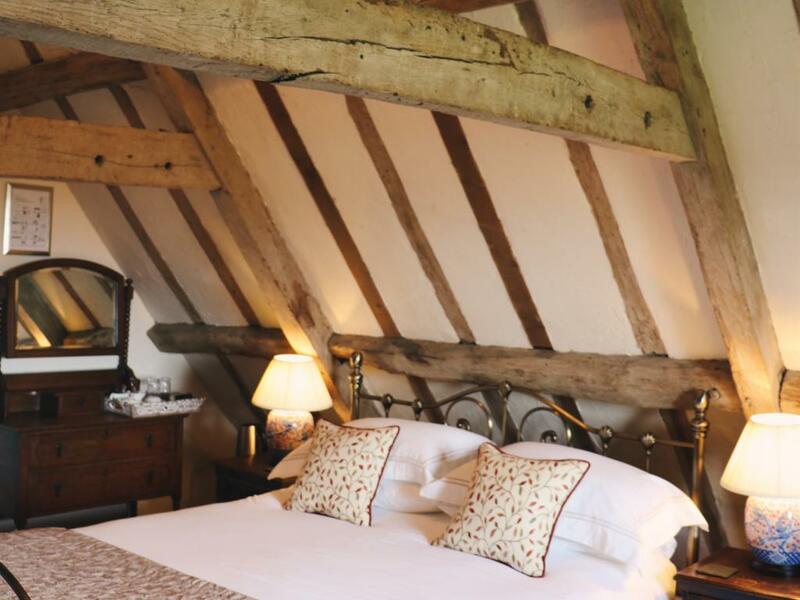 A most notable charm of this room is its original pegged Green oak beams, peppered with original assembly marks and dating back 400 years. 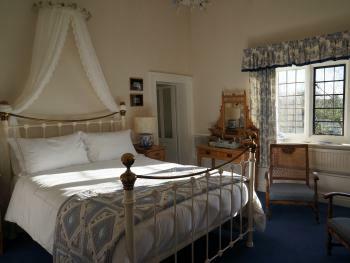 The room’s position at the highest point of the house affords beautiful views over the field towards the village centre. 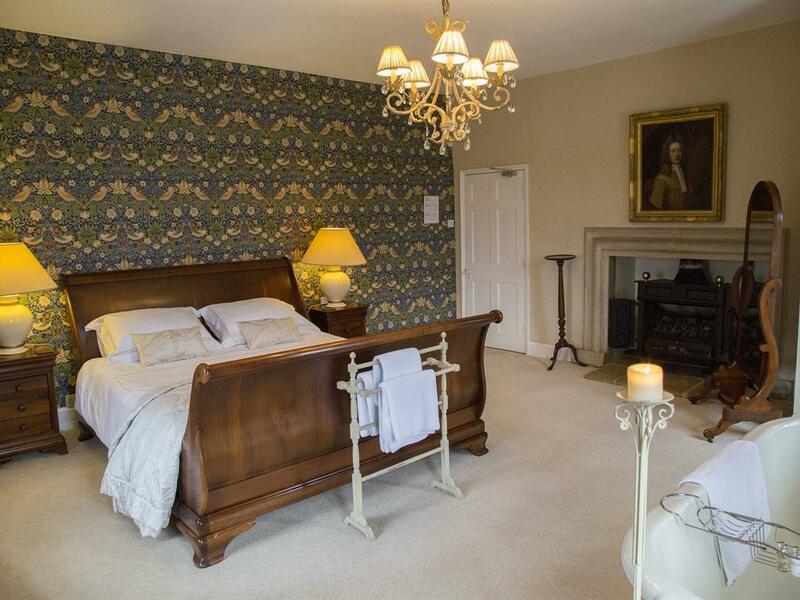 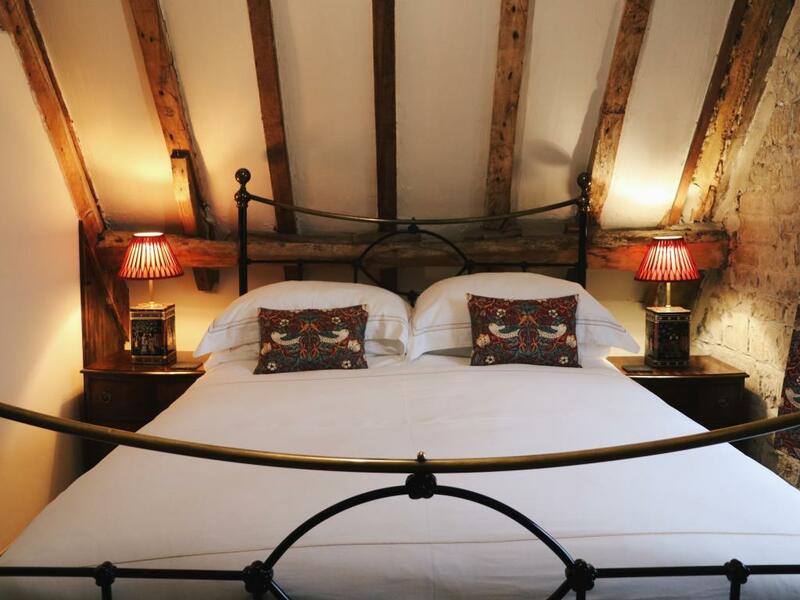 Originally the servants’ quarters, The Footmans room is now a superbly appointed bedroom with a double bed, en suite bathroom with a shower, television, wireless Internet connection and tea and coffee making facilities. Please note that part of The Footman's room charm is its steep and winding staircase, making this particular room unsuitable for guests with mobility issues. 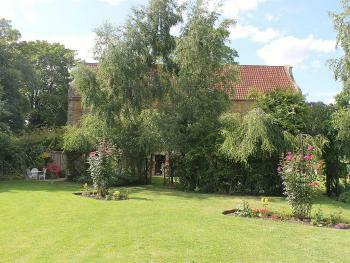 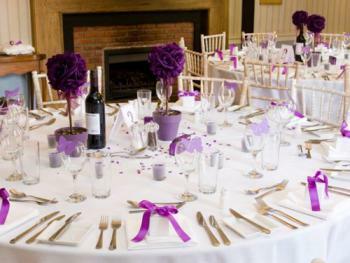 The Old Manor House at Allington is situated on the fringe of the Vale of Belvoir and in a tranquil Lincolnshire village with excellent road links.